For the 15th consecutive year, Maryland Public Television (MPT) will celebrate the Chesapeake Bay region with Chesapeake Bay Week®, a slate of programs highlighting the importance and fragility of the nation’s largest estuary. During the week of April 21-27, MPT will offer nearly 20 hours of content celebrating the bay’s history, people, natural resources, and efforts to protect its diverse ecosystem, including 10 programs viewers will see on MPT for the first time. This year’s Chesapeake Bay Week schedule on MPT-HD includes premieres of original productions, co-productions, and special presentations, such as The Chesapeake & Delaware Canal: Gateway to the World, Maryland Crabs: Tradition & Taste, Anacostia Revealed, and Saving Ellicott City. MPT will also present partner productions including An Island Out of Time, The Wild Ponies of Chincoteague, Welcome to the Table, The Legacy of Gilbert Klingel: Man of Steel, and Ocean Cities: Exploring Our Connection to the Sea. 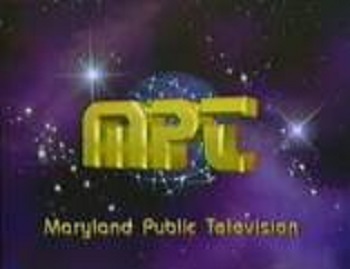 MPT’s annual Chesapeake Bay Week is a unique broadcasting initiative and part of the statewide public TV network’s ongoing commitment to celebrating the bay and examining critical issues faced by communities throughout the Chesapeake region. In concert with this year’s Chesapeake Bay Week broadcast line-up, MPT Digital Studios will debut Smith Island – a conversation with Tom Horton. This digital-first production highlights social, cultural, and environmental changes affecting the dwindling Chesapeake Bay island through the testimony of longtime resident and environmental expert Tom Horton. The nine-minute segment is available to stream online at mpt.org/digitalstudios/thedig/ beginning Thurs., April 11. The Wild Ponies of Chincoteague – Mon., April 22 at 8 p.m. This hour-long film follows the annual Chincoteague wild pony swim and auction, as well as one teenager’s journey to buy her first foal. The documentary begins with the legend of how the ponies came to inhabit the islands of the Chesapeake in the 17th century and illustrates how the wild animals are managed today, including the annual auction held by the Chincoteague Volunteer Fire Company. The Chesapeake & Delaware Canal: Gateway to the World – Mon., April 22 at 9 p.m. This half-hour MPT production offers dramatic aerial photography while telling the little-known but fascinating story of the Chesapeake & Delaware Canal, an important 14-mile trade route used extensively by international commercial mariners. The canal is called “Baltimore’s back door” because it’s a money-saving shortcut between the Port of Baltimore and points north via the Atlantic Ocean. Its construction in the early 1800s was a catalyst to the city’s growth as a major inland port. It continues as a nautical gateway to and from Baltimore and carries more than 40% of all trade traffic into the port. Maryland Crabs: Tradition & Taste – Mon., April 22 at 9:30 p.m.
People love to eat crabs, and watermen are happy to catch and sell them. An entire industry grew out of this relationship between fisher and eater, one that’s an economic engine for locals who work the water, and for the others who earn a living from its crab bounty. But times are changing. Facing unexpected challenges, the blue crab industry is tentative as it looks to the future. While water-men and -women are working trotlines and pulling crab pots to processing houses dotting the banks of the bay, uncertainty is today’s watchword for an industry that works largely out of the public eye. From labor shortages to crab harvest declines, international competition, and water quality issues, this half-hour MPT film illustrates the challenges facing individuals who work on the water. Click here to view the trailer for Maryland Crabs: Tradition & Taste. An Island Out of Time – Tues., April 23 at 8 p.m. This half-hour documentary about Smith Island, Maryland, features residents Mary Ada and Dwight Marshall. Their lives personify the Chesapeake Bay’s seafood-harvesting culture and history, but their four children chose to break with that tradition. The film, like Tom Horton’s 1996 book, An Island Out of Time, is both a celebration and elegy for a place beset with increasing erosion, dwindling population, and vanishing economic opportunities. Click here to view the trailer for An Island Out of Time. Welcome to the Table – Wed., April 24 at 8 p.m.
Long-time residents and new arrivals reveal how local foodways provide a powerful connection to the land and water, to family and community, to memory and tradition. The one-hour film is filled with great stories, told by diverse local characters, about their personal relationship to the land and the water that defines this region. Saving Ellicott City – Thurs., April 25 at 8 p.m.
Ellicott City, Maryland, is a mill town that has lived with floods for 250 years and has always rebuilt after the waters recede. But its citizens are becoming fearful as the rains and flooding have worsened and development has increased. This half-hour documentary, produced by students at the University of Maryland Philip Merrill School of Journalism, tells the story of townspeople who have been traumatized after losing four lives, several local businesses, and their last bit of hope when they experienced two 1,000-year floods in less than two years. Anacostia Revealed – Thurs., April 25 at 8:30 p.m. Produced by students at the American University Center for Environmental Filmmaking, this half-hour film pulls back the curtain on the Anacostia River. The waters that run through the nation’s capital are beautiful, but they are troubled by centuries of abuse, neglect, and man-made pollution. Though some cleanup efforts by the city of Washington, D.C. have been implemented, a series of passionate local residents and river keepers – all experts in their fields – have generated public awareness of their watershed to shed light on its problems. Click here to view the trailer for Anacostia Revealed. The Legacy of Gilbert Klingel: Man of Steel – Thur., April 25 at 9 p.m. This one-hour film introduces viewers to Gilbert Klingel. The 20th-century naturalist and self-taught explorer spent his life studying the Chesapeake Bay. He also served as director of the Maryland Historical Society, reporter for The Baltimore Sun, chief metallurgist for ARMCO, and authored four books, including The Bay and Seeing Chesapeake Wilds. Ocean Cities: Exploring Our Connection to the Sea – Thur., April 25 at 10 p.m. In this era of climate change and sea level rise, how can coastal cities around the world innovate and connect to the oceans they border? During this half-hour documentary, Professor Timothy Beatley explores urban projects around the world representing the new green movement that hopes to move beyond our urban environments to a regenerative way of living.